Andrew E. Coussens spent nearly eight years deployed as a contractor for a classified US government program that is still active in numerous areas of the world in support of the War on Terror. 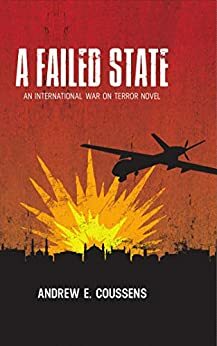 He spent three years simultaneously training partner nations in counter-terrorism tactics for the US State Department’s Global Anti-Terrorism Assistance program. Since leaving these programs, Mr. Coussens has been employed as a consultant for The Activity Group, a company that provides field-trauma solutions for the US military (AFRICOM), Federal law enforcement agencies, SWAT/Emergency teams, and tactical medical programs worldwide. This book is a work of fiction, or so he says, and I am still working my way through my copy. I can immediately say that there are very accurate descriptions of certain things which someone who did not experience those things would simply not know. Once I complete the book I'll write a review. If you are into Jason Bourne type action and adventure, I'd highly recommend checking out this book.